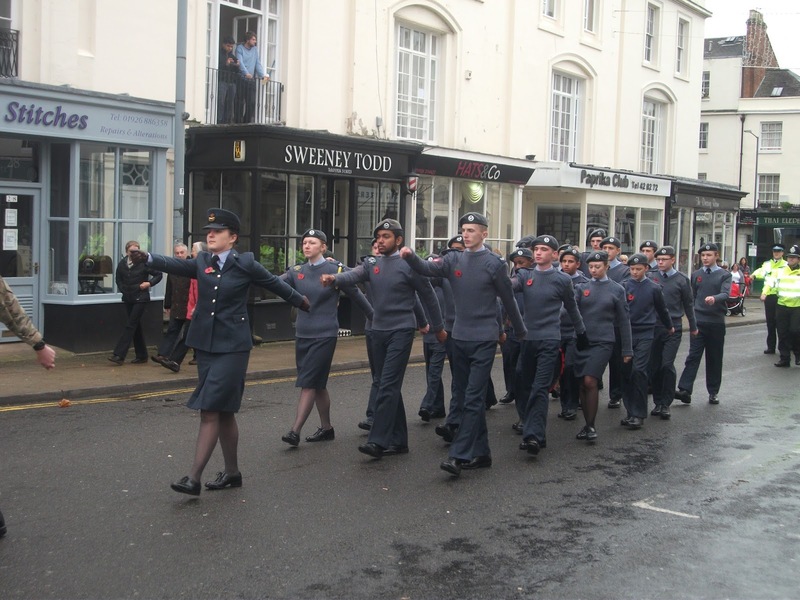 On Sunday 8th November, the Cadets and Staff of 84 (Coventry Airport) took part in parades in both Leamington Spa and Baginton Village to celebrate and commemorate national Remembrance Sunday. Mid-morning in Leamington Spa town centre, twenty cadets stepped off from Regent Street as part of a large parade made up of veterans, other cadet forces, cubs, scouts and police cadets. After marching down The Parade they were formed up at the cenotaph for a short service including the Act of Remembrance and two minutes silence to remember all those who have fallen in the call of duty for their country in the many conflicts and wars throughout history. Cadet Sergeant Phoebe Jenner proudly carried the Squadron Standard, her first ever outing in this role and she really did a fantastic job. Cadet Jamal Fazaldin also had an important role in presenting the Air Cadet wreath at the cenotaph on behalf of the squadron. The streets were crowded with several thousands of people who had all turned out to watch and take part in the parade. Following the formal part of the ceremony there was a lasting round of applause as all the contingents marched off past the dignitaries at the Town Hall and back up The Parade. 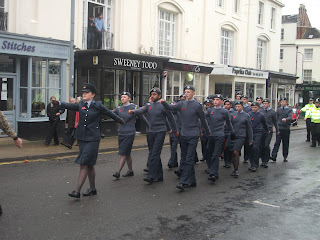 Afterwards, several members of the public praised the high standards of the cadets and commented on their appearance and marching. At Baginton, Warrant Officer Parker led a small contingent at the local village parade. The cadets were a combination of the new recruits who have only been with the unit for approx 6 weeks and some more senior, more established members. 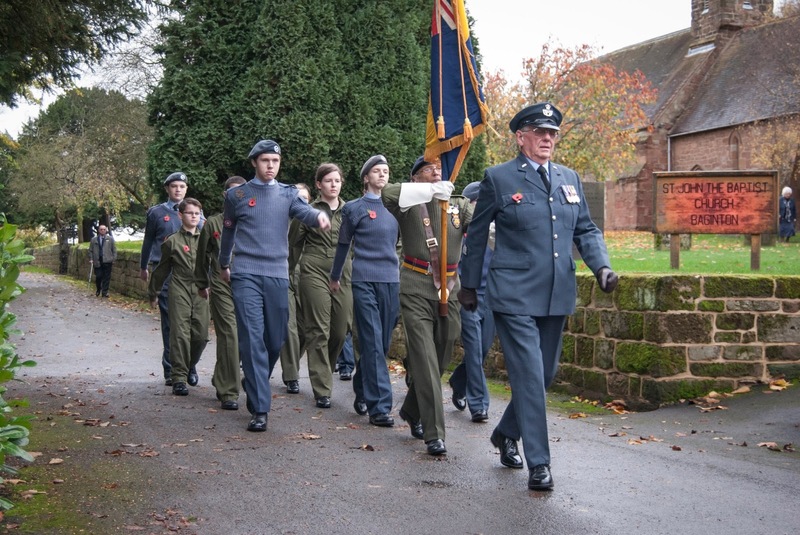 Cadet James McGeever gave a reading as part of the service inside Baginton Parish Church and once the cadets and congregation and cadets moved outside for the Act of Remembrance, Cadet William Walton presented the Poppy Wreath. All in all a fabulous day with many cadets proudly representing 84 Squadron and the whole Corps. Check out the Squadron Facebook page for more photos from the weekend.